I told you it was surprising. Cook’s Country explains: baking powder is composed of an acid and an alkali. It helps draw moisture to the surface of the poultry skin, where it can evaporate. The acid helps break down proteins within the skin, and the alkali accelerates the browning process, meaning that the skin can crisp more quickly. Now. Let’s talk about the chicken for a minute. If you can find wings that have already been cut and prepped (meaning the little drumstick is separated from the wing, and the wing tips are removed and discarded) then I would totally go for those. I myself don’t have any major issues with raw meat, and I’m pretty good with a knife, and I will tell you right now, I hate prepping chicken wings. I’m not going to show you the ugly photos of me butchering meat (and by “butchering” I don’t mean the logical definition of one who specializes in the preparation of raw meat products. I mean the other one: the act of ruining or destroying something someone else could have done with grace and ease.) If you don’t know how to separate your wings, just do a quick google search and there are oodles of YouTube videos that will show you. It’s really not hard, I just need to sharpen my knives apparently. Anyway, let’s skip forward to some perfectly prepped little wings. The only prep for these guys is to dust them with a mix of baking powder and salt and then place them on a rack that’s been placed over a foil-lined cookie sheet. How’s that for quick and easy? They cook for a little bit in a barely-warm oven (there’s lots of science there too, but let’s skip that and just follow the instructions, ok?) and then the pan gets moved to the top rack and the heat is cranked up to 425. When they come out, they even look fried with their beautifully golden brown crispy skin. They have a nice crunch on the outside and tender juicy chicken on the inside. And in case you were wondering (because it was one of my first questions) there is absolutely no lingering taste of baking powder. You’ll want to toss them with sauce and then serve them right away. When it comes to the sauce, the sky’s the limit. I’m not a huge fan of buffalo, but that’s an obvious choice. I’ll include my recipe for a Honey-Lime-Sesame glaze that was a hit around here. It’s got lots of my favorite things in it, like honey, lime juice, sesame oil and ginger. 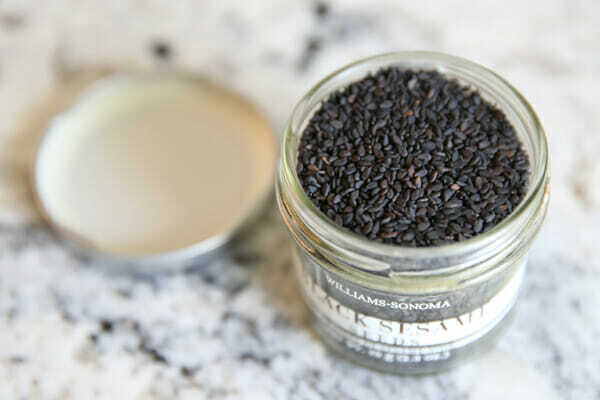 I sprinkled on some black sesame seeds to that batch for color and crunch. Everyone loved the sweet and salty combo. Another easy sauce is bbq, and honestly, you could use one of our homemade sauces, like this one, or do what I did and take your favorite bottled sauce and mix in a good drizzle of honey, and a couple shots of hot sauce. It makes a sweet, spicy, sticky glaze; just how wings should be! Adjust oven racks to upper-middle and lower-middle positions and preheat oven to 250 degrees. Set wire rack in aluminum foil-lined rimmed baking sheet and spray rack with non stick spray. Pat wings dry with paper towels and transfer to a large bowl. Combine baking powder and salt, add to wings, and toss to evenly coat. Arrange wings, skin side up, in single layer on prepared wire rack. 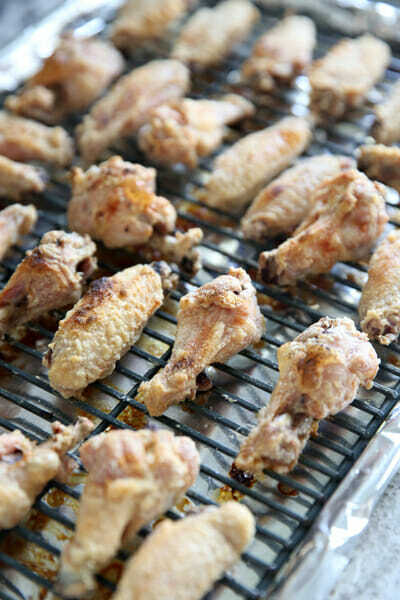 Bake wings on lower-middle oven rack for 30 minutes. 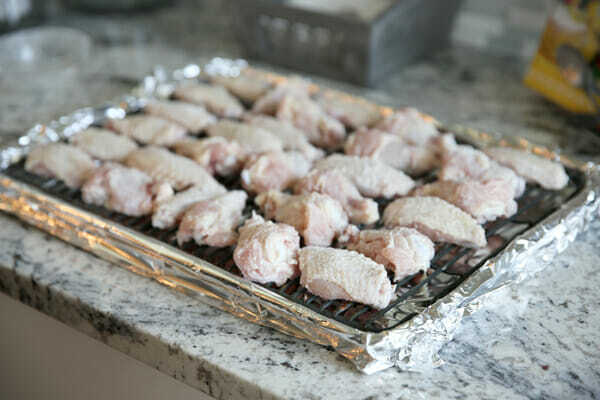 Move wings to upper-middle rack, increase oven temperature to 425 degrees, and roast until wings are golden brown and crisp, 40-50 minutes longer, rotating sheet halfway through baking. Remove sheet from oven and let stand for 5 minutes. Transfer wings to bowl with wing sauce of your choice, toss to coat, and serve. Whisk all ingredients until smooth. Pour desired amount over hot wings and toss to coat. Thanks for the baking powder secret! What a great idea! Thanks again for a post that is perfect timing! Oh, wow, this recipe is so exciting! You see, my boys have food allergies to wheat, egg, and milk, so traditional breading is a no-go. But THIS. This recipe bypasses all of those, naturally. I could hug you. Thanks for all you do! Oh my gosh. 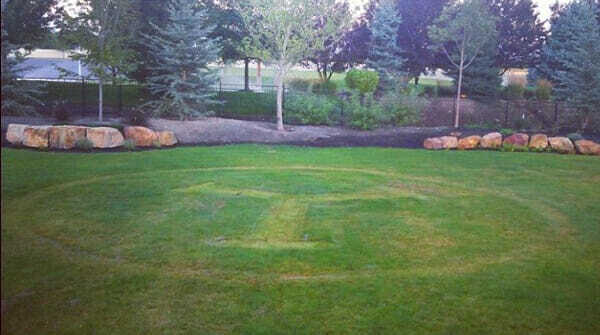 We are so putting a Y on our lawn now. Maybe our boys can feel the love from Texas that way. Gotcha- that was what I was thinking at 250, but needed your double check- thanks! My family is super into football season this year & these look amazing! We took our kids to their first byu football game ever last Saturday. Sad ending, but we had a great time anyway. They would love it if we cut a Y in our lawn. In the 2nd paragraph of the instructions it says “Back wings . . .” and I think you mean Bake, right? Thanks for the how-to-fry-without-frying tip! You are awesome! We have been baking ours for a long time but they just aren’t as good. Can’t wait to try this to see the difference. would this method work for regular drumsticks? Yum! I think your posts this week have solidified my Hawkeye Tailgate Menu for tomorrow . . . jalapeño mac and cheese and these baked wings. Thanks! Do you think thi s would work with boneless skinless thigh meat? I just can’t stand the skin and bones. I’m so excited to try these! I’m assuming it would work with drummettes too, right? I’ve got some in the freezer and I’ve been trying to figure out what do with them. Thank you thank you! Will it work on boneless skinless chicken tenders? No, Erica- totally different ball game. You need an actual breading for boneless skinless tenders. I love this post on so many levels! The Y in the lawn is CLASSIC! Go BYU! I also love wings, but despise deep frying with small children around (the thought of hot oil brings out my worst fears with kids!). I can’t wait to try this. Thank you ATK for bringing science to the kitchen and thanks OBB for sharing it with me! YUM! Oh my what goodness!! I made these for Sunday night Football dinner and they are awesome!!!! Easy and so tasty!!!! Thank you for a great recipe for wings!! Much easier than any baked I have tried! 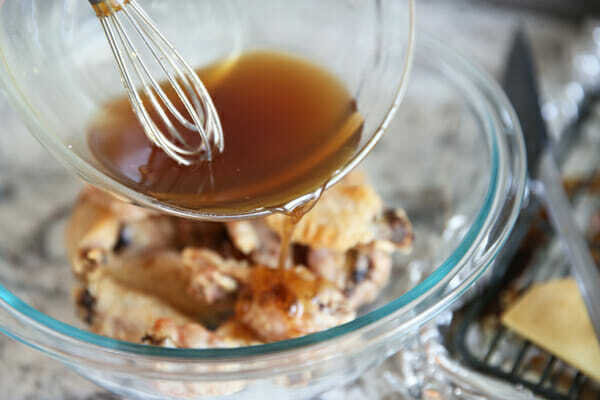 I’ve been trying to find the perfect way to bake wings (as I don’t have a fryer and pan frying is too messy). Everything I was doing wasn’t getting a nice crisp skin. I can’t wait to try this!! Great Idea! And they look delicious! Thanks for sharing! I made these last weekend and my husband and I are still singing your praises. We are known as the “wing kings” in a few social circles, and have been working on the perfect wing for about 10 years now. We finally tinkered around enough to create a recipe we’ve using for a couple years now that yields amazingly crispy, flavorful, restaurant quality wings every time. The only problem is, frying is such a huge mess that we really only make them for the Super Bowl. These wings were so ridiculously easy, and tasted almost identical to the wings we slave over frying once a year. We’ve decided we will now have wings every Sunday! 🙂 We paired most of them with our signature sauces (buffalo and lemon pepper – mmmm mmmmmm), but tried your honey lime one as well. It was hands down the favorite among all the children. We love you for making our job so much easier, and healthier too! I made these tonight. Oh. My. Word! They were amazing! Tender, crispy, perfect! I don’t do wings because of the deep fry mess, but now I can and WILL! Way to go, ladies! Made these today for a college football game viewing. We are in bush Alaska and have limited access to groceries and there are no restaurants in our village. I love that I had most of the ingredients on hand and could get the chicken wings at the Native Store. They were already cut so I just had to thaw them out before using them. These were a HUGE hit! Will be making them for the next party. Just wanted to say thank you for this recipe/cooking method- these wings were AMAZING!!! I love crispy chicken wings, and often have to send back wings I order at bars/restaurants and tell them to cook them longer. These were crispy without being greasy, and the meat was dried out just enough. I tossed them in a 70/30 mix of Frank’s hot sauce and creamy cilantro lime dressing and they were SO GOOD haha. The patting dry, the baking powder, and the cooking rack make all the difference. I’ll never make wings any other way again. Thank you so much! This recipe rocks! My family like fried chicken but I am not a fan of fried food. I made this instead and EVERYONE raved about it. I made 4 lbs of separated wings for a family of 4 and there were only a few left over the next day. Thanks for sharing! This will be a staple in our home. Whoa. So awesome. I have made these several times in the 2 weeks since I found your recipe. I’ve been trying to make good crispy oven wings for a long time. This is the secret, for sure. Reading the comments, it looks like you can put them in the fridge overnight instead of the 250* for 30 minute step. Have you tried this? Do they come out the same, or better that way? I think I’m going to give it a shot. Thanks for an incredible recipe. I’m done searching for recipes now, I don’t think I’ll every make them any other way after this. If you were wondering why this was one of your top posts (other than their amazing) its because my husband makes me cook them twice a week at a minimum. He had his doubts when I first introduced them since they weren’t fried but one bite quickly changed his tune. Now, if you could convince him to try a different sauce, although the one he makes is pretty fantastic. Just a quick question…I don’t have a pan with a rack. Can I just use the foil lined pan? You can, but they won’t be quite as crispy- might be a little soft on the bottom. These were the most disgusting wings we have ever had!!! I have never been so disappointed in a recipe. My husband and I always eat all our hot wings NOT THROW ‘EM AWAY because they left such a nasty aftertaste in your mouth. Very disappointed! Maybe you did something wrong because mine came out fantastic. You should try again. Mine were nice and crisp, but there was a bit of a baking powder aftertaste that the hot sauce (1/2 cup Franks, 1/2 cup melted butter, 2 TBSP red wine vinegar) couldn’t quite cover. I will try again with half as much baking powder and maybe a thicker sauce. Finally – I can bake wings instead of deep fry them. I usually deep fry in batches (about 10 at at time) which is never enough to feed the 6 of us – so to be able to bake 40 wings at a time in the oven was great! The baking powder did not leave any after taste – all 5 lbs of wings were devoured! We love wings – especially during football season! I don’t suggest using a gallon ziplock to coat them. The steam and the backing powder makes a paste. Better to do it in an open air bowl. Soooo good 🙂 We just tried these last night for the Super Bowl and they were a hit! Definitely cook these on a cookie sheet with a lip all around. I had some chicken grease spill over and things got a bit smoky. But these were very crispy and delicious. We served them with Buffalo Sauce, 1 cup BBQ sauce, 1 T Dry Cajun Seasoning, 1 T Hot Sauce. YUM! Thanks for sharing this recipe! 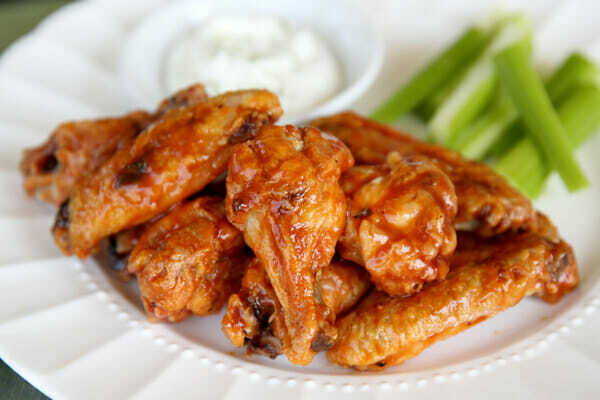 These wings look so good. I just made a batch with 4lbs of chicken wings. I did a few things differently; I cooked them an extra ten minutes at 250 degrees and halfway through baking at 425, I flipped the wings over on the pan and put them back in at 450. They crisped up very nicely. They are cooling right now and will be tossing them in hot sauce shortly! Can you make these ahead of time and then warm up? If so, how? Thanks! This technique worked perfectly!! I added pepper and garlic powder to the baking powder and salt and then after cooked, tossed in Rosemary Jelly from Sara Fay Farm Sooo delicious! Sorry that these are ridiculous questions, I am quite entirely new to cooking. 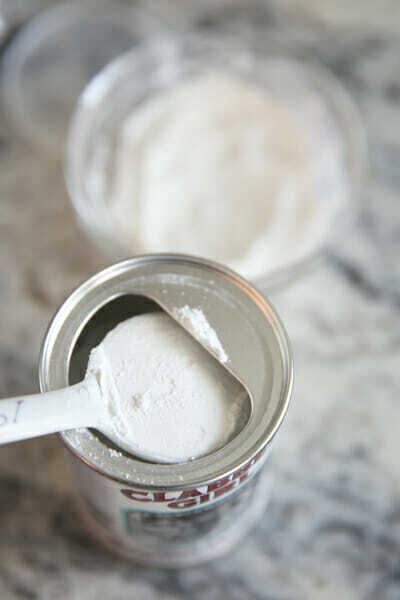 What is the difference between baking soda and powder? Would it matter a lot if I replace one with another? No, you definitely don’t want to interchange baking soda and baking powder, they are two completely different things. Especially in this recipe! They are both leavening agents. There is a way to swap but you’d have to google the ratio. I’ve successfully done it before for baked goods. Hmmm wouldn’t that be a bit different? In baking I mean. Here you need to coat the wings with the BP and the ratio is sth like 3:1 so not only do you have to deal with the extremely tangy taste but also suffer from not enough coating. Wow this is best tip ever! My family loves wings but I could not get the crispy that was needed with out the frying thank you! I would love to share this in a favorite recipe round up when I do one.. linking of course!! Let me know if that is Ok.
Is it okay to put two baking sheets into the oven? Or will that mess up the cooking? Can I put two sheets in the oven at the same time? Thanks so much for this recipe. The wings came out fantastic!!!! Wow…I love crispy wings. 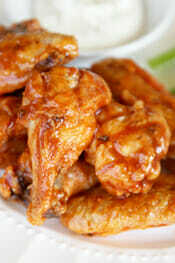 Can you use a bag of frozen wings after they have been thawed with the baking powder? I kind of half-heartedly made these wings tonight since I haven’t been happy with any baked wings that I’ve made before. To my surprise, these turned out EXACTLY as advertised…crispy and nicely dry. while still being juicy inside. My husband raved over them AND the Buffalo sauce you suggested. Who knew that a Tblsp of Molasses could make such a difference, thanks!! Can I use drumsticks instead? These were OUTSTANDING! After dusting the wings with the baking powder mixture, you will hear a faint “sizzling”, so perhaps this is your science you are referring to. Anyway, it works, whatever it does. Wings are crispy just like grease frying, and are SUPER MOIST inside. Keeper of a recipe! Thanks! Made these last night for Sunday Night Football. They came out exactly as advertised and were fantastic. My favorite type of wing is super crispy, nice and tight on the bone. These were exactly what I was looking for! 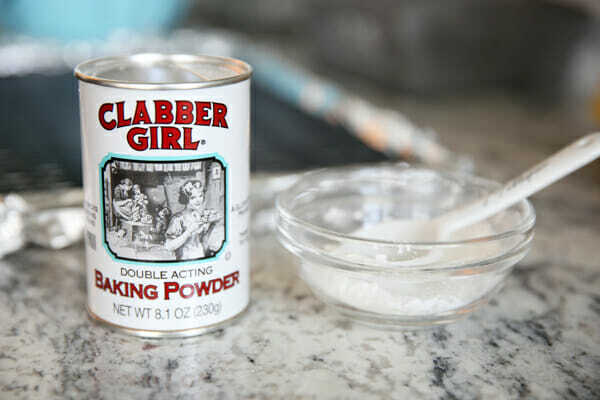 Baking powder huh…who knew? I don’t like football *GASP! * but I absolutely LOVE these wings! Seriously. 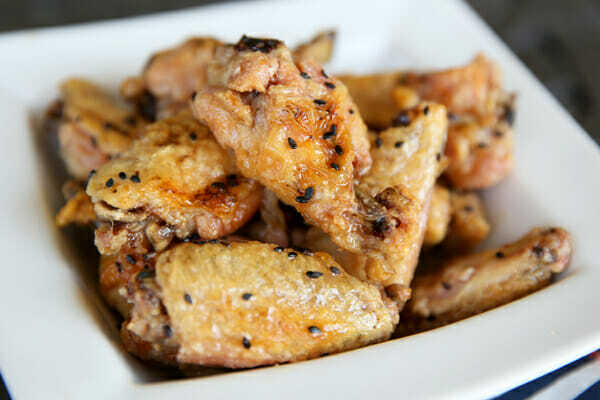 I add about 1/2tsp of fresh ground pepper to the salt & baking powder, toss about 1/2 the wings in a gallon size ziplock bag with the other ingredients, shake it all around, put them on the rack and repeat with the other half. I usually use a bit more baking powder, too. Since I prefer my wings dry, I often eat them as is, however tonight I made a maple sriracha sauce for them (1/4 c pure maple syrup & 1 tsp or so sriracha sauce). I think I died and went to heaven. So good. THANK you for this recipe. It’s the only one I ever use. Do you think this recipe would work with drumsticks? These are the BEST wings I have ever made at home and I think they are restaurant quality. You will not believe they are NOT fried as the skin is so crispy but the insides are tender and juicy!!! Thanks you for sharing this fabulous recipe! Would this work with frozen wings? If so, how long would the cook times be? I know this is an old post but found this recipe the other day on Pinterest. Tried it tonight and all I can say is – wow! I had almost given up hope of having crispy, restaurant style wings done in the oven. Yay science and kudos to you for sharing this with us!! We just cooked these last week. I couldn’t taste the baking powder but my husband could and my kids kept saying they had a funny texture. I really really want these to work 🙂 Any suggestions? I rolled them and then tapped them to try to get the excess powder off. Do you think I still had too much? Or maybe just not enough sauce? 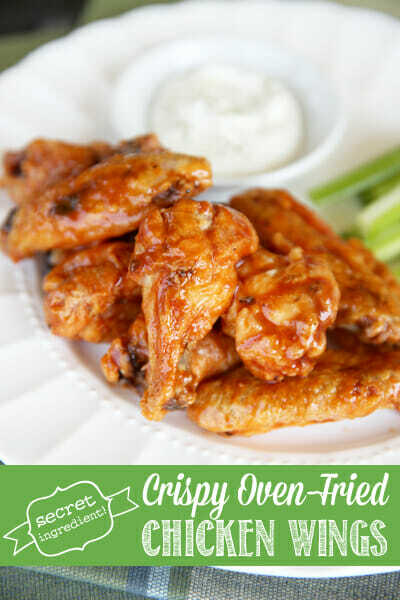 They love buffalo wild wings but I would love to create a more healthy version at home. Thanks for the tips! These were the WORST chicken wings I have ever made!!! The baking powder ruined the entire meal. It is much better to steam the wings first, then bake them….NEVER USING THE BAKING POWDER AGAIN….SO YUCKY!!!!! Really… just 2 Tbs of baking powder for 4 lbs of chicken. I coated 4 wings with 2 T not 4 pounds. Then you have waaaaay to much coating on those 4 wings 🙂 Just 2 tablespoons for everything, they need a very light coating. I tried these last week and they came out perfectly. So freaking good. OMG. I want to try and make the honey lime sauce a little thicker because it mostly was runny and left a big puddle at the bottom of the dish (which I literally drank at the end, it was so good). I’m going to try and reduce it in a saucepan on the stove to make it thicker, are there any other suggestions to thicken up this sauce so it sticks better? reducing would definitely help. If you are cooking it anyway, you could also just add a little mixture of cornstarch and cold water, that should thicken it right up! Great technique/recipe. I LOVE ATK, but hadn’t heard or seen of this technique. My husband and I have been craving wings lately, and the ones from the deli or pizza places are so expensive, and the frozen ones are just mushy and gross. These turned out perfect and crispy. I used 2 pounds of wings (I even prepped them myself, and it wasn’t that bad! ), so I halved the baking powder/salt mixture. I broiled them for a few minutes after finishing the baking step and coated them with 3 different sauces. My husband said they were the best wings he’s ever had. I wonder if the baking powder freshness had something to do with the failure of some of the commenter’s wings? I always forget to replace my baking powder and baking soda before it runs out, but luckily I bought a new can just recently. We can’t wait for an excuse to make these again! These are the best wings ever. Ever. A hundred years from now, people will speak the name Sara Wells with great reverence before digging into a pile of these wings.